I think all pet owners are aware that parasites can pose some risks to their pets and that really they should be protecting against them. However, that means some sort of treatment on a regular basis, which is a faff, an expense and with a busy life, before you know it a couple of months, then 6, have passed and neither Deefor nor Tabby have had their treatment. However, now more than ever, it is vital that we ensure our pets are fully protected. Both for their health and that of other animals and your family. Lets start simple – fleas. or a thicker, or longer coat, it would be a BIG challenge to see them! ALL pets, will encounter fleas in their lives. Some may be more at risk that others, for example cats who hunt (think of the fleas as the dead mouse’s revenge!) and dogs who socialise a lot, but even indoor cats can become infected from fleas getting into the house from visiting pets or even on your clothes (disturbing but true!). So regular protection is vital. Also, don’t get complacent in the colder weather. Once our central heating gets turned on, our houses become the perfect winter getaway for fleas and they will thrive and multiple at quite an astonishing speed! 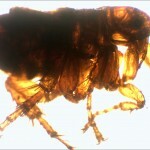 Not only are the fleas themselves an irritation and pretty disgusting but they will also infect your pet with tapeworm. Parasites aren’t daft, they have teamed up and are working together! Tapeworms shed thousands of microscopic eggs in the faeces and although in an ideal world everyone would scoop their poop, a depressing number of people don’t and even the most dedicated owners will leave smears behind in the soil. 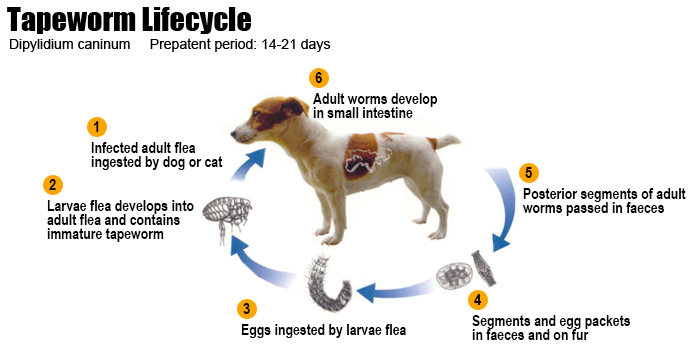 Flea larvae are also outside and eat the tapeworm eggs. Then when your pet eats a flea, which they will do on a surprisingly regular basis, after all think how often they groom or lick at themselves, the worm egg finds its way back to the intestinal system and grows into an adult. How fleas and worms work together! This process can just as easily happen in our homes; a tiny bit of poo on your pets backend or on their bedding, a few flea larvae hanging around because you forgot Fluffy’s last treatment and boom, reinfection central. Disgusting, but true, sorry. However, possibly the most important worm to know about, and protect against, is Toxocara, especially as infections in people can be extremely serious, potentially causing blindness. It is almost impossible to tell if your cat or dog is infected, but at least a third of adult cats and dogs carry Toxocara, as do the VAST MAJORITY of puppies and kittens! Also, a recent study showed that two thirds of soil samples in a major city contained Toxocara eggs! Cats especially make life easy for this parasite to hide when they bury their poo in our gardens and sandpits. Children are most at risk of Toxocara infections, because they have a close relationship with pets (especially baby ones! ), often don’t wash their hands after handling them. 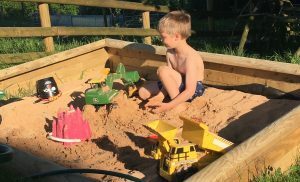 They are pretty keen on sandpits and generally having fun outside! So, if you have kids and pets, regular treatment for Toxocara is absolutely vital. Kids love sandpits but to cats, they are just a huge litter tray! Protect your children from parasites by keeping sandpits covered over and regularly worming your cats! Another parasite which is, quite rightly, gaining notoriety is Lungworm. Thanks to some hard-hitting advertising campaigns and the occasional heart-rending press story, more and more pet owners are becoming aware of this disease. 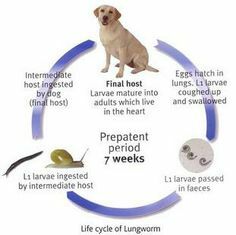 The reason we worry so much about Lungworm is that has the potential, in a small but significant number of dogs, to cause fatalities. We don’t really know yet how it does it but it can stop their blood from clotting. It is also spreading rapidly across the country. Cases have now been diagnosed all over the British Isles. It too has a lifecycle which relies on it’s fellow pests but this time it is slugs and snails (yes really!). An infected dog, (it is very rare in cats), passes larvae in it’s faeces, these are then eaten by the slimy, garden invaders, which are in turn eaten by dogs. You may think your dog doesn’t eat slugs or snails but some species can be less than 5mm long and they are often eaten accidentally when snacking on grass or playing with toys that have been left out at night. The worrying thing about Lungworm is that often aren’t any obvious symptoms. 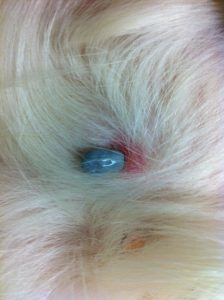 The majority of infection dogs appear fine or have some moderate chest problems, understandably as the worm lives in the lung tissue. Which means they are merrily helping to spread the parasite and no-one is any the wiser. In addition, foxes can be carriers and nearly 20% of them are now thought to be infected. Even worse is that we have no idea which infected dogs will be the unlucky ones who develop bleeding problems, which often strike dramatically and without warning. Which is why prevention is so important! Ticks are really the parasite of the moment and not in a good way. Since the introduction of the PETS travel scheme and the dropping of the requirement for tick control (Thanks Brussels! 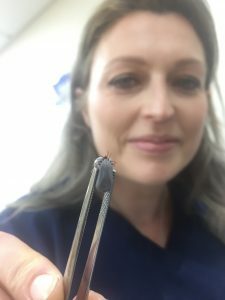 ), in addition to some pretty horrible tick-borne diseases we already had in the UK, we are now diagnosing new ones which were previously unheard off. Ticks are becoming more common and so are the diseases they carry. We already had Lyme’s disease but now we are seeing Babesiosis and Ehrlichiosis. Both of these affect the blood, can easily be fatal and both have been diagnosed in dogs which have travelled and, far more concerningly, ones which haven’t. This means the ticks that spread these diseases have hitched a ride on unprotected dogs and have set up home over here. They have been found alive and well in areas close to the ports but now they have arrived, it is inevitable they will spread and as well as living outside, some species are equally at home in our homes. Which makes even my skin crawl! The only glimmer of good news is that in most cases it takes 24 hours for the tick to pass the disease to your pet, so if you remove them (safely!) within this time or use a product which has a quick kill rate or decent repellant affect (and be warned, not all of them do! ), your pet should be safe, even if they do pick up a passenger. Ticks will readily attach themselves to our pets and we need to remove or kill them as quickly as possible to reduce the risk of them spreading disease. Protecting our pets against parasites can seem like an unnecessary chore and expense but as you can see, it is important! The good news is that it is now easier than ever to achieve and there are a wide range of different ways to do it. 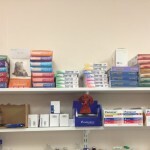 Your vet can provide you with tasty chew treats that are actually combined wormers, flea and tick protection, there are comprehensive spot-on treatments available for both cats and dogs, you can have more ordinary tablets to hide in their food, long acting protective collars, and even injections. You can also sign up for text message or email alerts from either your vets or the pharmaceutical companies themselves so you don’t forget when the next dose is due or, if you are more old school, most products come with stickers to add to your calendar! 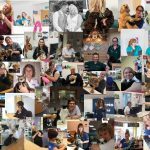 Have a chat with your local veterinary practice and work out which would be best for you and your pets. Trust me, you will be glad that you did! This blog is in support of the Pet Parasite Action campaign – visit their site to find out more about parasites and your pet’s personal risk! 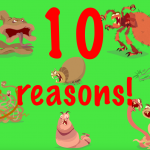 ← 10 Reasons Why Vet Nurses Are Awesome!